Buying groceries can be very hectic as many people tend to forget important things to buy at the last moment in the grocery store. Grocery list apps are designed to create a list first about the items to buy, so that you don’t forget any important item at the last minute. Because it wastes time, money, and gas. Here are some of the best grocery list app selected. 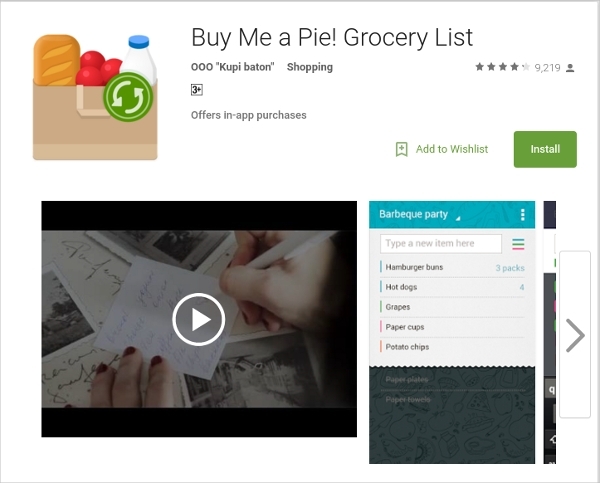 With Buy Me a Pie!, your list changes as your needs do. The app saves items for future use, and colorful tags help you keep everything organized. Separate food from the cleaning supplies, or if you really want to get specific, demarcate the produce from the spices, drinks, and frozen goods. Shared lists, a grocery dictionary, and auto-sorting. Lists can be created for each store, with custom items and names. 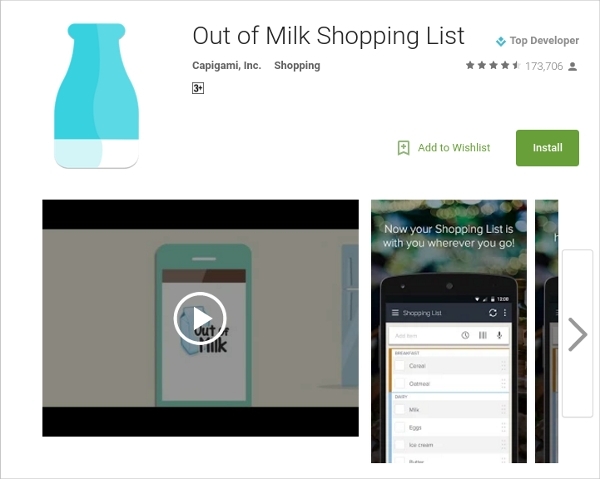 Shopping lists work across Android, iOS and BuyMeAPie.com. It is one of the most downloaded grocery list application available on android market. 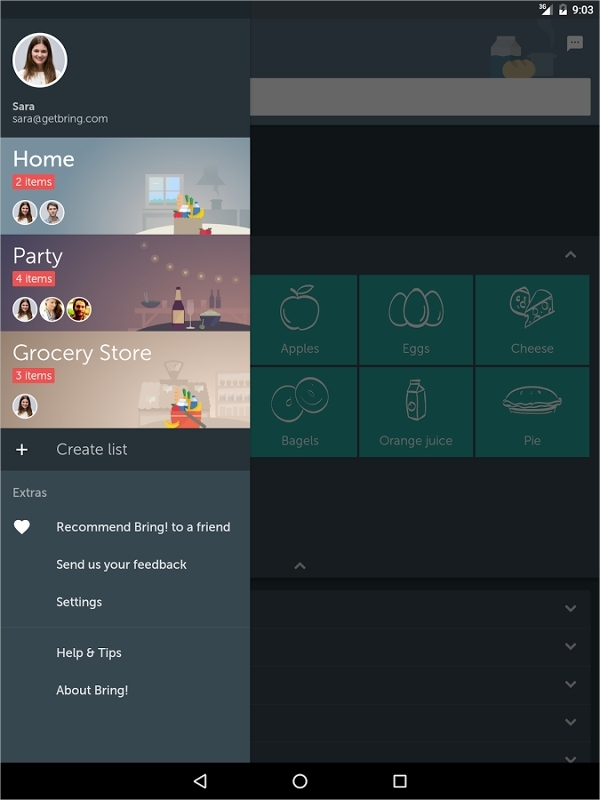 Bring!, allows to create a shopping list in seconds. At a glance, this app informs which items still need to go into the shopping cart. Feature to create multiple list and share with people. Beautiful list themes and shopping items, and push notifications regarding the shopping trip. 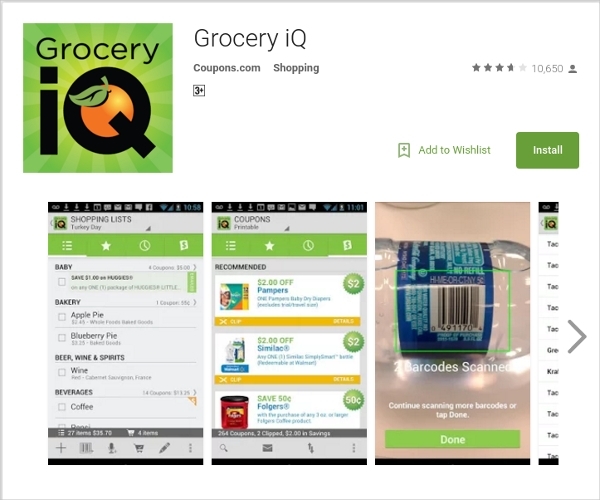 With the ability to keep lists and sync them across devices, Grocery IQ provides the core functionality everyone expects from a shopping list app. The interface is a little older, but it’s still pretty usable. One can easily add items by scanning their barcodes. This lets the user to insert multiples at once relatively quickly. The app easily adds frequently purchased items to new lists, search and filter favorites to build lists quickly. Adds multiple items by simply pointing your camera at any product bar codes. Syncs lists with the GroceryiQ.com website, friends and family. Our Groceries is more basic than the previous apps, but it isn’t without its merits. You have two kinds of lists: Shopping Lists and Recipes. It store lists of items you need to make your favourite dishes. Tapping on any of these adds them to your shopping list. In effect, this kills two birds with one stone. You know what you need to make dinner, and you actually remember to buy it. Can group items and assign colors to them, to tell them apart. App learns from users previous entries and suggests them. Shares lists via email, SMS, and other apps. Synsc and shares shopping lists with others in real-time. Option to easily scan or enter items in shopping lists. 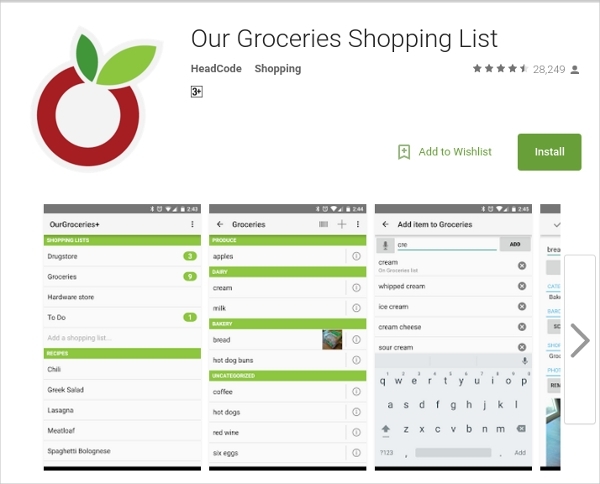 These are the best grocery applications available on android application market for download.